A short documentary film featuring the photographers of The Straits Times Picture Desk as they shadowed the four candidates vying to be president during the fourth Singapore Presidential Elections in 2011. 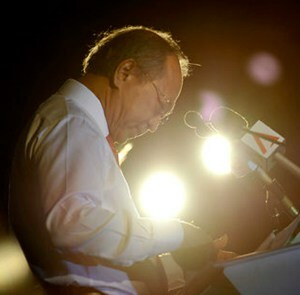 This election was the first contested election since the 1993 election and the first presidential race with more than two candidates in Singaporean history. Coincidently, the four candidates carried the same Tan surname. Big thanks to Michael Sargent, Wang Hui Fen, Desmond Lim, Lim Wui Liang, Kevin Lim, Nuria Ling, Muglian Rajasegeran and Joseph Nair. Filmed & edited by Kevin WY Lee. Produced by Invisible Ph t grapher Asia. Great film. very insightful and wonderfully shot. Very cool film. Love this & the other videos you guys are making.